Pre-pay for 8 weeks of our gently used cloth diaper service and we will waive the $35 start up fee! Simply choose "Existing Customer" and select a quantity of "8". Please note that if you are choosing the "Wipes Add On" and/or "Diaper Cover Rental" it will also be paid for 8 weeks in advance. Petite Bottoms Gently Used Cloth Diaper Service is a traditional cloth diaper service. Every week we deliver clean diapers to your door and pick up the dirty ones to be expertly washed by us! This is a great service for new parents, parents of multiples, working parents, parents without on site washers and driers, and parents that would prefer not to handle the washing. Our gently used prefolds come from our cloth diaper service. These prefolds have been deep cleaned and sanitized by us prior to dropping them off for your use. Each week we will drop off 7 dozen diapers, (that's 84, 100% cotton diapers! ), at your door and we will pick up your dirty diapers. The next week you will get back your same diapers completely clean and ready to use! You have a total of 168 diapers reserved for your use! The diapers that are reserved for your use are only for your use. You get back the same prefolds that you used the week before, only clean. Infant, premium and toddler sizes come with 5 dozen (60 prefolds) per week. If you find that you are using more than that in one week we can bump you up a dozen or two at no extra charge. You may also size up in prefolds at anytime, simply let us know. Gently used prefolds may not be all the same brand. They will all be the size that you specify. They may also have faint to moderate stains and a mild bleach smell. We do use bleach to sanitize our gently used prefolds in between customers. We do not regularly use bleach on our prefolds. Diapers will be picked up and dropped off in the designated place of your choice. Please choose a place that is sheltered from the elements, rain, wind, snow sun, etc. We do require a $35 non refundable start up fee that includes, 2 Pail Liners and 1 Snappi. You are free to cancel the service after your first week as long as it is 48 hours before your regularly scheduled drop off/pick up. We will pick up the diapers as scheduled and not leave clean diapers. You are responsible for any damaged or lost prefolds at a cost of $2 per prefold. You may pay for the service in advance for as many weeks as you choose. Once the service is paid for it can not be refunded as we have reserved those diapers for you for that specified amount of time. All optional add ons will be gently used products. You may rent covers at an additional weekly charge. The care of the covers is left to the customer. Choose the optional flannel wipes add on for only $5 extra a week and we will send 6 dozen wipes, a sample of wipes bits, and cloth diaper safe rash cream samples with your first wipes package delivery. We will send 6 dozen wipes each week with your regularly scheduled delivery for as long as you choose. You will have a total of 12 dozen cloth wipes just for your use! Choose the optional cover package add on and we will send more covers to your dooorstep at a discount! You can choose to add 2 covers for only $16 or 4 covers for only $32. Covers are newborn size. Please contact us for pricing on larger sizes. 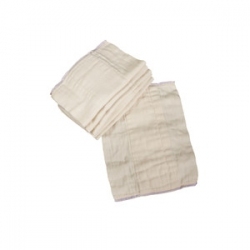 Diaper covers are not provided with the service because the manufacturer does not recommend washing them in the high temperatures that we use to sanitize your cloth diapers. The provision and care of diaper covers is left to the customer. Choose the optional Multiples package if you are expecting multiples. We offer options for twins or triplets. You will receive a discount on these packages. If you are expecting more than triplets please contact us for pricing. If you have other needs, we are happy to accommodate you, just give us a call or send a text to, 424-256-8448 or send us an email, petitebottoms@gmail.com and we can include anything with your next delivery or drop it off immediately. We are available 24 hours a day, 7 days a week for advice and support should you need any assinstance or have any questions. and pick up your diapers that need to be cleaned. Your diapers, pail liners, wipes, etc are reserved for your baby and only your baby. You will get back the same exact diapers, pail liner, wipes, etc that we picked up the week before, only clean! If you would like the next size up in prefolds please let us know and we will change them out for your next regularly scheduled delivery. Gift certificates are available for any of our cloth diaper serices. Cloth diaper service customers will recieve a coupon code for 10% off all future purchases. Coupon code is not valid on any service we offer. Coupon code may not be used with any other offer/discount. Coupon code can only be used by current cloth diaper service customers.